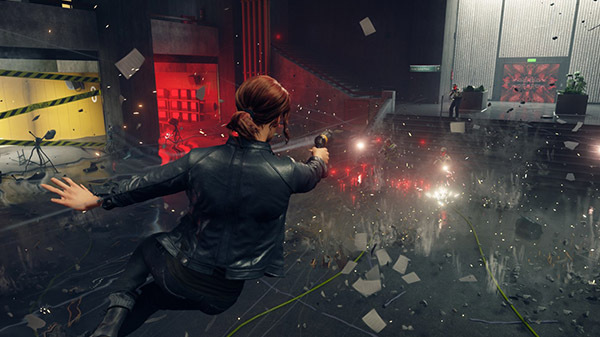 A deep dive into the next game from Remedy Entertainment. Control, the E3 2018-announced science-fiction action game from publisher 505 Games and developer Remedy Entertainment, is Game Informer’s April 2019 cover story, the magazine announced. Control puts you in the shoes of Jesse Faden, a young woman who seeks to discover more about who she is while finding answers to questions she’s had about the supernatural her entire life. Her search brings her to the Federal Bureau of Control, a government branch that heads paranormal investigations. Upon her arrival, however, an otherworldly threat has taken over the headquarters and threatens to possess or kill everything in its sight. As Jesse, it’s up to you to harness control over this entity with everything you’ve got. During our cover story trip, we learned about Jesse’s powerful abilities, such as levitation, launching almost anything with telekinesis, and “seizing” the minds of enemies so they work alongside her instead. We got hands-on impressions, a better understanding of the enigmatic astral plane, and the mysteries to be found in the ever-shifting headquarters of the Bureau, known as The Oldest House. In addition to the magazine coverage, Game Informer will have a month of exclusive online content. Control is due out for PlayStation 4, Xbox One, and PC in 2019. Watch Game Informer’s Control coverage trailer below.